Sam Gesser was an influential Canadian impresario, record producer and writer. Over the course of his career many institutions acknowledged his contribution to Canadian culture, and he received numerous awards and honours. In 1993 he received the Order of Canada “contributing to Canada’s cultural fabric.” He was also honoured by the Smithsonian Institution for his work with the famed Folkways Records, the Canadian Songwriters Hall of Fame, the Canadian Folk Walk of Fame and was the first recipient of the Resonance Award established by the Canadian Museum of Civilization to honour outstanding lifetime contributions to Canada’s musical heritage. Gesser’s love of the entertainment business started early. He was known to a sneak into local cinema and eventually began to work there cleaning up in exchange for free movies. In the years after graduating from BBHS he worked as a commercial artist, while writing scripts for CBC radio and TV. However it was his love of music, especially folk music, that came to define his career. From the time he was 14 years old, he taped indigenous Canadian folk music. Motivated to preserve and promote folk music, he founded The Record Centre of Montreal, the first record lending library in the city. For more than a decade he made field recordings of fiddle music and folk songs, predominantly from Quebec. By 1951 he had compiled a large enough collection to start Allied Records, his own record label. He also had his own radio program about folk music on CFCF and on the CBC. In the late 1940’s he became the Canadian representative for the influential American label Folkways Records. In addition to promoting Folkaways artists in Canada he also added hundreds of Canadian Folk musicians to the Folkways catalogue. Some of the artists he recorded in Canada were Hélène Baillargeon, Edith Fowke, Helen Creighton, Hyman Bress, Jean Carignan, Jacques Labrecque, Monique Leyrac, Alan Mills, Leonard Cohen and Irving Layton. In the early 1950’s he began to promote concerts. The first was in 1953 when he brought in the folk giant Pete Seeger to Montreal and with whom he developed a lifelong friendship. Among other artists he brought in to Montreal and Canada where Harry Belafonte, Nana Mouskouri, Joan Baez, Danny Kaye, Glenn Gould, Liberace, Janis Joplin, Maureen Forrester, Isaac Stern, The Band, and Gordon Lightfoot . In 1954 he founded Les Feux-Follets (meaning “dancing fire” or “fireflies”), a folk dance troupe that toured Canada and internationally. He headed the entertainment for the Canadian pavilion at Montreal’s Expo 67, presenting more than 400 shows. He repeated his role at the Osaka World Fair, introducing many unknown Canadian artists to an international audience. His career expanded to producing and writing musicals and plays. Gesser brought musicals such as The King and I and Hair to Canada, produced Hootenanny! and Monica la Mitraille (a musical based on Montreal’s infamous “Machine Gun Molly”) among others. He produced a musical adaptation of fellow Montrealer Mordecai Richler’s The Apprenticeship of Duddy Kravitz. The musical began a Canadian tour in Edmonton, but closed early in Ottawa, never transferring to Broadway as had been originally planned. In 2000 Gesser wrote and produced the play “Fineman’s Dictionary”, a comedy starring Fyvush Finkel. A another play “Dancing to Beethoven” produced in 2003 featured a cast of blind actors. Weeks before his death, he was still working on screenplays that had been optioned for production, and was also writing a third play, “Seeing the Islands”. Gesser’s archives are held in various repositories in Canada and the United States. His contracts, photos, correspondence and other documents reflecting the long-standing business relationships he had with artists and performers are held at the Jewish Public Library in Montreal. He has holdings at the Bibliothèque Nationale du Québec, and his recordings for Folkways Records are at the University of Alberta in Edmonton in the FolkwaysAlive Collection of over 2100 Folkways records donated to the university by company founder, Moses Asch. Hustak, Alan. 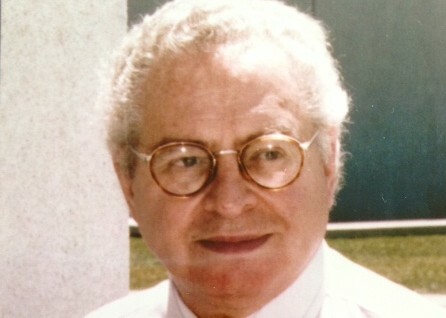 “Impresario Sam Gesser dies at 78″. The Montreal Gazette. 9 May 2008. Thomas, Suzanne. “Gesser, Samuel”. Encyclopedia of Music in Canada. 9 May 2008. Brownstein, Bill. “Impresario’s life celebrated by his peers; “It won’t be easy, since Gesser’s life had so many chapters.” Montreal Gazette. 12 May 2008.